Golf clubs seem simple enough. There’s a grip, a shaft and a clubhead. No moving parts, no engine, no batteries required. Closer inspection, however, reveals these seemingly rudimentary tools to be more complex than a NASA space rover. OK, so that’s a stretch. Still, there’s an amazing amount of math, physics and geometry packed into every golf club. What’s more with golf equipment, each club performs differently based on the skill of the player swinging it. The golfer with a clubhead speed of 110 mph will hit a driver one way, while a golfer swinging at 90 mph will get much different results from the very same club. The takeaway: One size does not fit all. 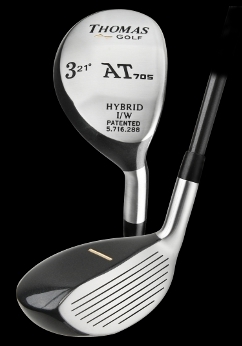 That holds true throughout the set, from driver to fairway woods, hybrid clubs to irons, wedges to the putter. The golfer who understands basic golf equipment concepts will naturally choose clubs that work best for his game. Of course, clubs are merely the tip of the golf equipment iceberg. We’ve got tips explaining the various types of golf balls and how to choose the right ball for you. Training aids are a popular way to improve through practice – you can learn all about them right here. We’ll advise you on accessories such as hand-held golf GPS devices and rangefinders, too. Indeed, there’s a multitude of equipment factors that influence how well you drive, chip, putt and score. Hey, golf is a pretty complicated game. It only looks simple. Golf can be a difficult game but technology has fortunately made it a lot easier. If you play golf or are interested in learning the game, it is important to know some basic information about the tools you are using. Since it can also be an expensive game, you will want to consider the different options available before making a decision. If you decide to purchase new clubs, it is highly advised that you get properly fitted for them. Since each person is unique, we all require different specifications in our equipment to optimize performance. You can have all the natural talent in the world but without clubs that fit your dimensions and swing, the game will be more difficult than it should be. Thomas Golf offers free fittings on their website: simply fill in the information and one of the club fitters will email you back with your recommended specifications. They also sell clubs that independent research has shown to offer easier alignment and more accuracy. With the level top plane on the woods and their alignment indicators, you are better prepared to aim and hit your target. The basic set of golf clubs consists of a driver, fairway woods, hybrids, irons, wedges, and a putter. How these clubs are arranged in your set will depend again on your dimensions and club fitting. For instance, let's say you are a beginning golfer. If you start the game with blade style irons designed for experienced players then it will be very difficult for you to hit solid shots. On the other hand, if you start the game with more forgiving clubs, such as Thomas Golf's AT505 irons then you'll find the ball much easier to hit well. This section will discuss further the design and intention of each club as well as some guides to help you hit them more effectively. 1. Are Thomas Pre-Owned Golf Clubs A Good Value? 23. Golf Balls: Should You Always Play the Same Model? 25. Golf Clubs: Should You Mix It Up Like Mickelson? 27. Golf Shafts: Steel or Graphite? 51. Which Golf Ball Compression is Right for You? 52. Who Should Play Blade Golf Irons? 53. Who Should Play Game-Improvement Golf Irons?